Shopping for a new Mercedes-Benz G Class? A typical car is redesigned every few years. 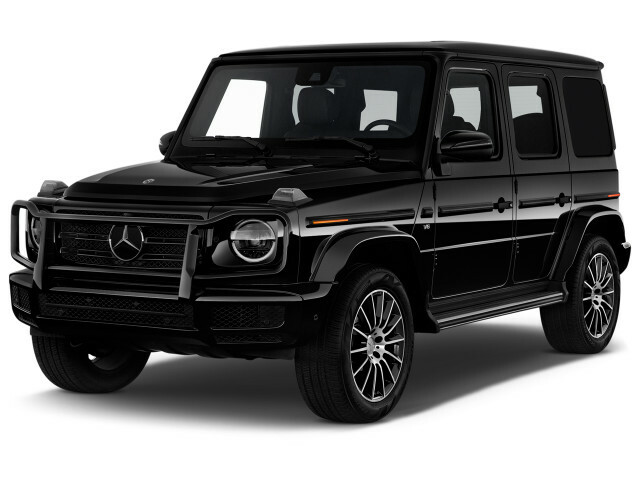 The 2019 Mercedes-Benz G-Class is not a typical car. Not by a long shot. The updates are at first glance subtle, but they’re comprehensive and this SUV is unquestionably still a Geländewagen—the German word for “cross-country vehicle” that gave this durable off-roader its G-Wagen nickname. The 2019 G-Class retains its boxy, upright styling—so much so that casual observers probably won’t realize that it shares very little with its predecessor. Its lines are cleaner, but hardly streamlined. Its windshield is proudly upright today as it was in 1979 when the first Gs hit the road. Inside, the G-Wagen gets with the times with a dashboard that blends S-Class styling cues and technology squared-off surfaces that give this SUV a distinctive look unlike anything else in the German automaker’s portfolio. Mercedes fits the 2019 G-Class with a 577-horsepower twin-turbo V-8 in the AMG G63, and with a detuned version worth 416 hp in the G550. Both sport a 9-speed automatic with a wider set of gears to enhance its off-road ability. The G550 makes bigger strides where it counts: off-road. It’s still a body-on-frame SUV, one with a trio of differential locks and a two-speed transfer case with standard full-time four-wheel drive. Gone is last year’s solid front axle, replaced instead by an double-wishbone independent setup designed to help the G-Class perform better on-road and to make it more stable at speed off-road. It’s amazing how well the G-Class performs in everyday duty, though you’d never mistake it for the truly road-friendly Benz GLS. Where the G-Class shines is in places where city lights give way to starlight. It’s blessed with so much off-road hardware, it’s difficult to imagine a place on this planet it couldn’t find, given the right GPS. The G-Class is about the same size as a Jeep Wrangler four-door—a competitor of sorts. Interior space grows considerably over the cramped outgoing model. Legroom is up nearly half a foot for rear seat passengers and there’s more space for shoulders and elbows, too. Unlike the far more pedestrian Mercedes-Benz GLS-class, the G-Wagen has only two rows of seats. No crash-test scores have been published. Neither have prices, but the new G-Class gets standard leather upholstery, power-adjustable front seats with memory, a Burmester-branded audio system, automatic emergency braking, active lane control, and keyless ignition. A 12.3-inch touchscreen for infotainment is standard, while a secondary display of the same size is on the options list to take the place of a conventional gauge cluster. 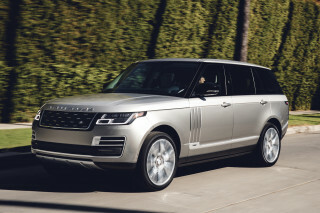 Individual options are limited but include adaptive dampers, massaging front seats, a heated steering wheel, and a rear-seat entertainment system. The 2019 G-Class’s style is pitch-perfect, but beauty? That’s in the eye of another beholder. 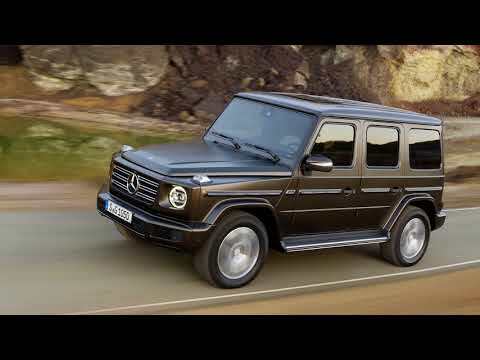 Mercedes left well enough alone with the utilitarian G-Class for forty years. This year’s new model migrates its look so incrementally, it’s hard not to admire. We’re not trying to body-shame the G-Class, but it’s hard to consider it against today’s standards of vehicular beauty, which reach a zenith in SUVs such as the Range Rover Velar. It’s difficult to tell the new G-Class from the old, and that’s worth a round of golf claps. It’s somewhat cleaner, somewhat more refined. Could it be more angular? No. Would it be worth trying? Of course not. Today’s G-Class has all the vintage boxy charm intact, from its exposed door hinges to its spare tire carrier to its upright windshields. AMGs wear lip gloss in the form of deeper wheel flares, a distinctive grille and badges, running boards, and wheels as large as 22-inchers. The glints of 21st-century engineering emerge only on close inspection. The body cladding’s integrated tightly, the body panels are pressed more exactly, and LED headlights get special attention in the form of siped driving lamps that ensure their light refracts out of pedestrian eyes. It’s still a flying brick, no matter what aero tricks have been deployed. The 2019 G-Class’ 0.55 drag coefficient would nourish a whole season of RuPaul’s “Drag Race.” The cockpit’s learned some high-tech moves, however. A widescreen digital display takes the place of gauges, while a second screen blends in to turn the dash into something straight out of the Star Trek genre. Take your pick of brushed metal or carbon fiber woven with red, or even open-pore walnut wood trim: you can mix it all up inside the G-Class depending on the fording ability of your wallet. Mercedes could call the G-Class the GOAT, for a variety of performance reasons. With exceptional powertrains and even more impressive off-road hardware, the 2019 Mercedes G-Class only can get better in performance in impossible ways. It’d have to be much smaller, much shorter, and much less an SUV. The base G-Class for 2019 is the G550. Installed under its hood is Mercedes’ 4.0-liter twin-turbo V-8, tuned to generate 416 hp and 450 lb-ft of torque. It’s teamed to a 9-speed automatic with performance shift modes that include a manual-paddle shift mode. A 0-60 mph time of 5.8 seconds and a top speed of 130 mph are Mercedes’ official company line. With the same engine and a few twists to the turbo-boost screw, the Mercedes-AMG G63 belts out 577 hp and 627 lb-ft of torque. It can spool up and reel off a 0-60 mph time of 4.4 seconds, and crest to a top speed of 149 mph. It all happens despite a 5,700-pound curb weight. Driver-selectable modes graft on to either powertrain. They offer Comfort, Sport, Eco, and Individual programs on the G550; and Slippery, Comfort, Sport, Sport+ and Individual on the G63. Sport modes work well in city and highway driving for either engine. In Sport+ on the AMG G63, flying passes blink by as quickly as the gearbox cracks off a downshift. The new G-Class has a wider track, electric power steering, and available adaptive shocks. The systems shave years off its visual age, and hone down its most trucklike tendencies. Rather than fit the G-Class with air springs, engineers kept coils and dampers to ensure lots of suspension travel. G550s have adaptive dampers on the options list; they’re standard on the G63. On both G-Class SUVs, the new hardware delivers a dramatic uptick in stability. Compared to the steel-suspension G-Class from any year before this one, the new G has a creamy ride, in part because of the available suspension and its rationally sized tires, 265/60s on the G550, 275/50s on the G63. Most Gs will get upfitted with huge wheels in the U.S. because markup and image, so we’re curious to drive on on the worse interstates in areas with more lax maintenance. Hydraulic steering is out; the G-Class’ steering’s gone electric across the board. Particularly on the G63, the steering’s been mapped with such strong centering force, it requires frequent correction, at least on France’s autoroute. Switch into G Mode, and it’s all remapped again, with lots of on-center latitude. The G-Class’ new body structure has the grit to perform on nearly any solid surface on this planet. A Panhard rod locates and sings backup to the rear axle; a stouter ladder frame and a huge tower brace let the suspension do its best work. In addition, every G-Class has 9.5 inches of ground clearance at the rear differential, three locking differentials, and four-wheel drive. G550 SUVs get a dedicated off-pavement G Mode, which engages when any lock or when Low range’s low 2.93 crawl ratio is selected. G Mode tailors steering, damping, and throttle uptake to enable more deliberate and more precise inputs. No one wants or needs an upshift, or a zap of throttle when descending a hill. The G Mode widens into a trio of programs on the AMG G63: Sand, Trail, and Rock each remap shift, throttle, and steering programs to help the G-Class cope better with its copious power. Finally, the spec sheet reveals better approach and departure angles for the 2019 G-Class. It leans into angled paths at a 35-degree tilt. 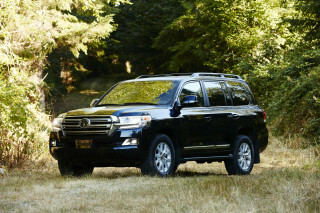 It’s blessed with 27.6 inches fording depth, a breakover angle of 26 degrees, and 30- and 31-degree front and rear departure angles. The combination gives any G-Class the talent to wade through more than two feet of water, blast through mud bogs, paddle through sandy dunes, or crawl around on craggy rocks with a better, more planted feel than the taller, narrower O.G. It’s ludicrous, in a way, that the more complex the G-Class gets, the easier it is to point and shoot off-road. See an obstacle, aim for the obstacle, set all three locks and choose Low, and keep a light but steady foot on the gas. The G-Class just executes, in its own drama-free, angular bubble. More interior space and excellent seats leave us ready for the inevitable Maybach G-Class. With the 2019 G550 and G63, Mercedes has stretched and widened its most angular SUV, but left interior seating at five. The result is cavernous space inside, and a charming throwback to the way SUVs used to feel: airy and tall, but not gargantuan. By the numbers, the new G-Class is 2.0 inches longer and 2.5 inches wider than the model that emerged from the primordial sport-ute ooze back in 1979. The new edition has aluminum fenders, doors, and an aluminum hood, all wedded to a much stiffer steel body. Drivers will notice how tight the G-Class body feels now from the first spin. The G550 just gets it right, with supportive front seats that deliver more than a dozen adjustments, heating, cooling, and massaging functions. The same air bladders that inflate for a custom fit, also deflate and reinflate on the go, to pin drivers in better during extreme off-road maneuvers, like angling ahead in the Jackson ski-lift valet line. In back, the G-Class diverts 1.5 inches more to leg room than before, and frames in vast quantities of head and leg room. The latter’s up by 5.9 inches alone. The back seats aren’t overstuffed in a big American SUV way, but they do fold and split and hide and generally get out of the way when cargo space is more a concern than passenger space. So does the spare tire, which swings away from the body to the side, just like they all used to do. Final U.S. interior-space figures are pending, but the G-Class will hold at least a few roll-aboards in back. It’s not much bigger than a four-door Jeep Wrangler, don’t forget, which is easy, since it’s easily three times as expensive. It turns out that 40 years of body-engineering advances make a different. The G-Class smothers noise in the ways Mercedes wants it to. The bolt-action noise from the door locks? Intact. The whuffly and less-distinguished noises from its big tires? Just about negated, thanks to thicker insulation and glass. It’s still a brick flying through the air, but the G-Class also puts wind noise mostly on mute. No crash-test data for the 2019 G-Class has been published. What it lacks in official data, the G-Class makes up for somewhat in a flourish of safety technology. It starts with good design: the tall, boxy shape and high-mounted seats guarantee a great view of the road for the driver. Mercedes waterproofs the rearview camera so drivers can keep an eye on underwater obstacles as it fords deep bodies of water. The available surround-view camera system can grab specific views from around the vehicle’s perimeter; the driver can see, for example, the size of the rock it’s about to climb. All G-Class SUVs come with active lane control, attention assist (it lights a coffee cup on the gauges when it senses you’re tired) and forward-collision warnings with automatic emergency braking. An option package bundles blind-spot monitors, active park assist, rear side airbags, and adaptive cruise control. The 2019 G-Class hasn’t been priced for the U.S. yet, but it’s expected to start near where the 2018 model did: at about $125,000 base, or soaring toward $200,000 when fully outfitted. All G-Class SUVs will come standard with power features, automatic climate controls, leather upholstery, forward-collision warnings with automatic emergency braking, at least 19-inch wheels, keyless ignition, a sunroof, Bluetooth, and a 15-speaker 590-watt Burmester audio system with USB ports and Apple CarPlay/Android Auto compatibility. It’s a shame the G-Class will launch with the older COMAND infotainment interface, but the new MBUX system may make an appearance soon. The G-Class can be fitted with wheels ranging from 20 inches to 22 inches, a second 12.3-inch dash-mounted screen and a second digital display, a panoramic roof, massaging front seats, adaptive dampers, a range of Exclusive and AMG Line interior trims, and a rear-seat entertainment system. Brace yourself for some very low fuel-economy scores. 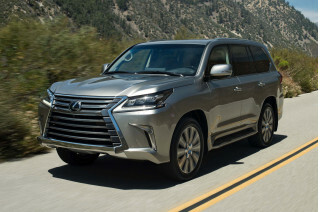 The EPA rates the 2019 G550 at 13 mpg city, 17 highway, 14 combined. You may want to brace yourself. The G-Class always has slotted in at the lowest green scores in our rating system. With updated powertrains that still rely on massive horsepower–and with no electric or hybrid models in sight–the G-Class ends up with a score of 2 out of 10 here, before the AMG edition's factored in. Looking for a different year of the Mercedes-Benz G Class?